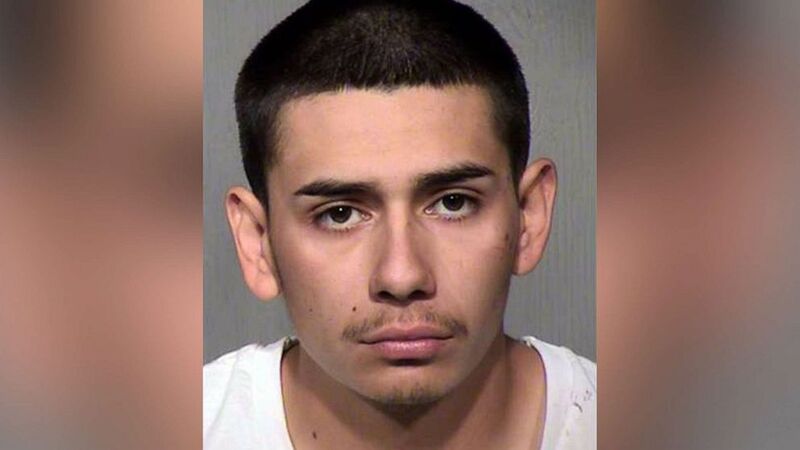 (Phoenix Police) Joshua Gonzalez, 20, is pictured in an undated booking photo released by the Phoenix Police Department. The truck and weapon believed to be involved in the shooting were also recovered. 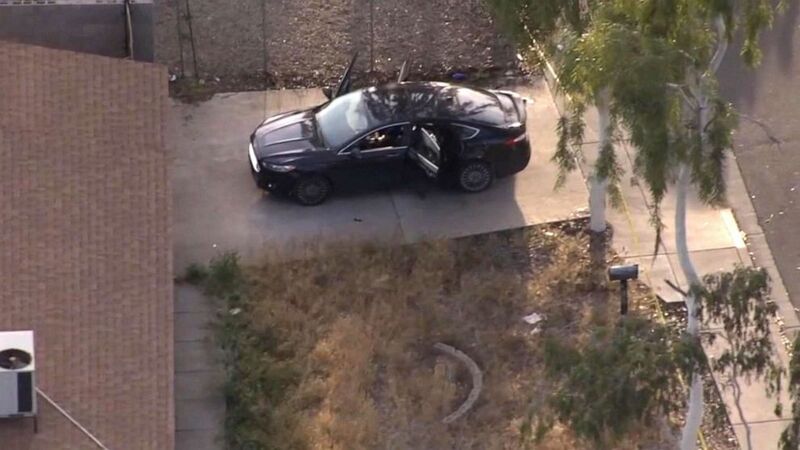 The suspect “did try to alter the truck’s appearance,” Phoenix Police Chief Jeri Williams said. 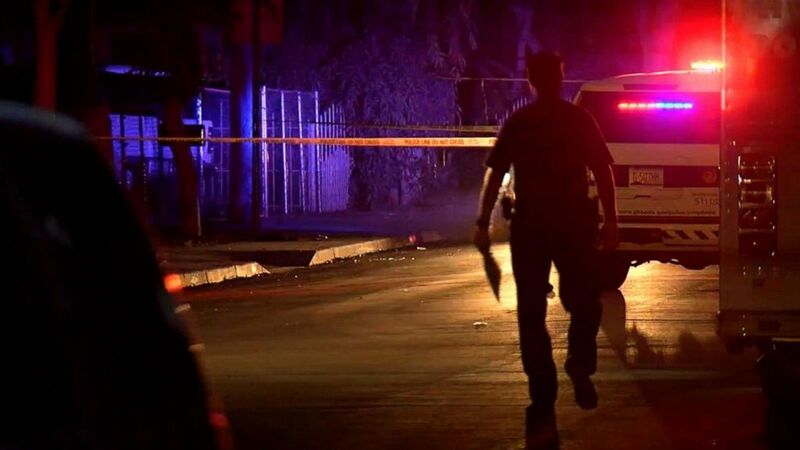 (Phoenix Police Department) Phoenix police are searching for the gunman, seen here driving a white truck, who shot and killed a 10-year-old girl in an apparent road rage incident, April 3, 2019. The suspect’s white truck cut off the Browns in traffic, Lewis said. Then the truck followed the family’s car very closely, Lewis said. “As soon as the truck was behind the victim, he stayed relatively close, as if he was intentionally following the victim,” Lewis said. 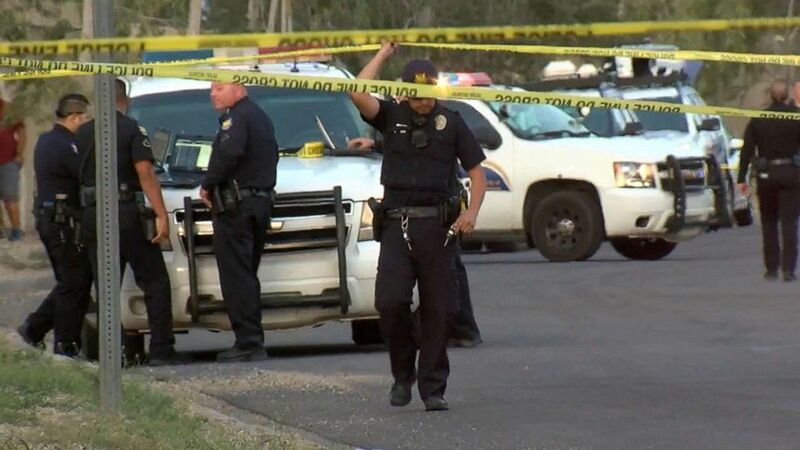 (KNXV) Police at the scene of a shooting in Phoenix, Ariz, April 3, 2019, following an apparent road rage shooting which killed a 10-year-old girl and injured her father. “She died in front of me,” he said. Dharquintium Brown was also shot and suffered a non-life-threatening injury, police said. Summerbell’s mother and sister were not hurt. “This is heartbreaking … that I lost my baby like this,” Summerbell’s mother, Taniesha Brown, told reporters Thursday, overcome with emotion. “There was no reason for her to be taken like this. I wish it was me instead of my baby,” Taniesha Brown said. ABC News’ Adrienne Bankert and Alyssa Pone contributed to this report. Previous Chinese national Yujing Zhang allegedly trespassed at the president’s club.